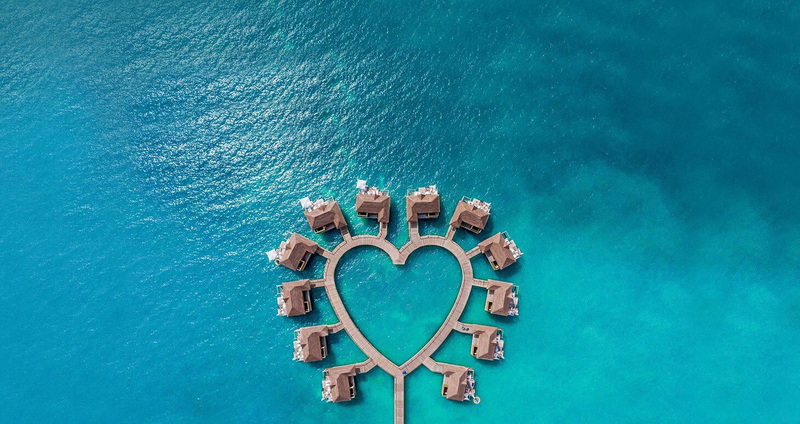 The caribbean’s most spectacular accommodationsFeaturing groundbreaking, innovative designs that marry modern luxury to exotic palapa-style architecture, these spectacular Over-the-Water Bungalows deliver an immersive journey of the Caribbean’s finest turquoise waters. An expansive patio features Sandals signature Tranquility Soaking Tub™ for two, an over-the-water hammock, outdoor shower and a suspended patio with swim-up platform, while the interior boasts sea-through glass floors that guarantee undersea views, a king-size bed, and a spacious, spa-style bathroom. You don’t even need to step outside to appreciate the Caribbean’s best crystal-clear waters. With 'sea-through' glass floors, you can experience the ocean from the comfort of your luxurious villa. Lit water ensures you can enjoy the sea anytime day or night. Made for two, our luxurious freestanding Tranquility Soaking Tubs offer the utmost in relaxation - right in the comfort of your suite. 24-hour room service and water taxiYou know you've arrived when you meet your own personal butler. Trained in accordance to the exacting standards of the Guild of Professional Butlers, who provide butlers to nobility and celebrities, your personal butler handles every detail of your vacation with unobtrusive grace.